Building Trades is a Diploma program designed for individuals interested in a career in residential, commercial, or industrial building construction. Residential construction involves the building or remodeling of houses, condominiums, or apartment complexes. These structures are primarily wood frame construction. Commercial construction involves the building of single-story office buildings, stores, or restaurants. These structures often use light gauge metal framing in addition to wood construction. Industrial construction includes the building of factories, hospitals, schools, or multistory office buildings. These structures may be constructed of concrete, masonry, structural steel, or a combination of materials. Building Trades program students learn and develop skills through a combination of classroom-structured units, manipulative lab projects, and mentored job experiences. Classroom units provide students with necessary information on safety, blueprint reading, and craft work processes. Manipulative projects provide students the opportunity to learn craft skills at their own pace in a mock job site setting. 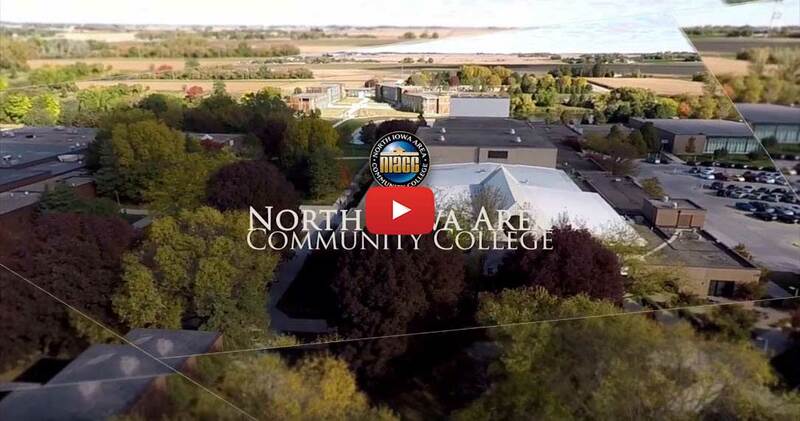 NIACC Building Trades students will have opportunities for nationally-recognized certifications including NCCER, OSHA, and other optional industry-related certifications. The Building Trades Lab is a state-of-the-art facility where students learn in an individualized, competency-based setting, mastering skills by constructing manipulative projects. Mentored job experiences provide students the opportunity to apply learned skills as well as develop new skills while working under the guiding supervision of skilled contractors on job sites around North Iowa. For specific information contact the NIACC Industrial Division. Incoming students are eligible to compete for scholarships through the Tom and Linda Schaefer Endowment Fund, which provides twelve $1,500 scholarships each year for NIACC Building Trades students. Graduating students are eligible to compete for a $500 scholarship awarded each semester by the North Iowa Area Builders Exchange. Upon successful completion of the Building Trades curriculum with a grade point average of 2.00 (C) or higher, the student is awarded a Diploma. Courses are structured so that students enter the Building Trades program in the Fall semester.